I pledge to work towards racial justice and equity by promoting diversity and inclusion, advocating for lasting change, and holding myself and my allies accountable. 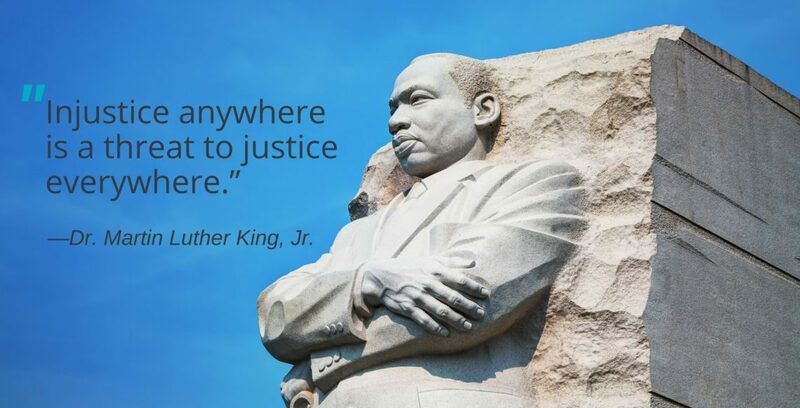 The 50th anniversary of the assassination of Dr. Martin Luther King, Jr. was a crucial commemoration for all of us at Parenting Journey. Reflecting on the legacy of racism and the impact it has on communities across our country, we are reminded of the important context in which we work with families. While parenting is hard for all of us, we must acknowledge the unique barriers and obstacles that families of color face. In just the past two weeks, we’ve seen the murder of Stephon Clark and a New York Times article about the impact of racism on black boys. All of this points to the real challenges that families of color experience, and the relationship between racism and high-poverty communities — a legacy brought about by segregation and Jim Crow laws. But despite all of this, I am hopeful. I believe that change is possible and that it is already well underway. I see it in cities all across the country, in the media, in meeting rooms, in coffee shops, and churches. People are having difficult conversations about their role in upholding racist systems and, most importantly, their role in tearing them down. I have participated in many of these public conversations over the past week and am optimistic by the elevated discourse. 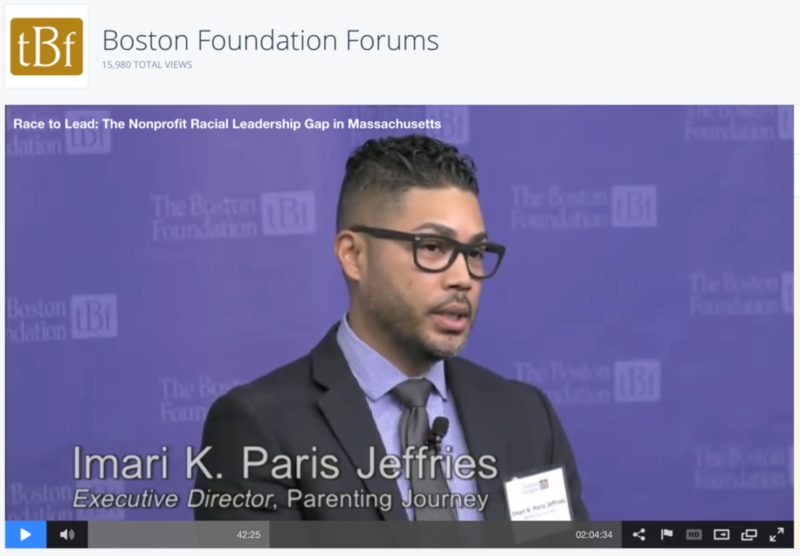 Click on the image to watch the full recording of the Race to Lead: The Nonprofit Racial Leadership Gap in Massachusetts Forum. 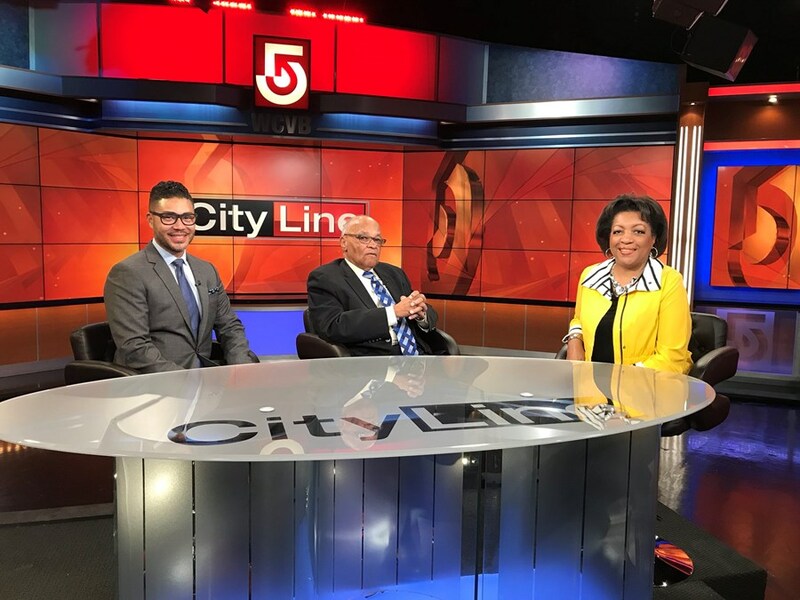 Click on the image to watch the full clip that broadcasted on CityLine WCVB, Channel 5 on April 8th, 2018. 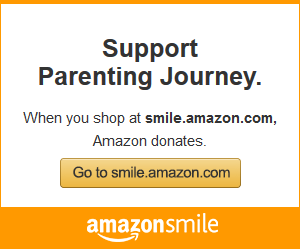 At Parenting Journey, we are also putting our words into action. Here are three ways we are actively working to confront racism and inequity in our work. We are living our values and promoting diversity by paying everyone a living wage, ensuring our workplace policies reflect the diverse needs of families, developing leaders at all levels within our agency, and centering parents and caregivers’ expertise and experiences in our decision making. We are advocating for lasting change by working with stakeholders and policymakers to address income inequality, and move towards an opportunity system. We are holding ourselves and our allies accountable by talking about our work differently, and not commodifying families to raise money or build credibility in the nonprofit industry. Our work in support of families will continue as long as there are still obstacles to overcome. While we have been passionately dedicated to issues promoting equality, our progress depends on collective action towards a shared vision. From the parents we partner with, to our social service counterparts, to the supporters who keep our doors open, we thank you for being a part of the solution to fight for a more racially just and equitable society where all families can thrive. Let’s continue the conversations and important work together. Please stand with us and sign the pledge in support of diversity, equity, and inclusion. ICYMI: Check out all of the work we’ve been doing to elevate issues of race and inequality.